Look for Robyn's new book, The Best of Us, a story about family, second chances and choosing to live your best life--order your copy today From #1 New York Times bestselling author Robyn Carr comes the story of four friends determined to find their stride Gerri can't decide what's more devastating: learning her rock-solid marriage has big cracks, or the anger she feels as she tries to repair them. Always the anchor for friends and her children, she realizes it's time to look carefully at herself. The journey is more than revealing--it's transforming. Andy has come to believe that a lasting love is out of reach. When she finds herself attracted to a man without any of the qualities that usually appeal to her, she questions everything she thought she wanted in life. Sonja's New Age pursuit of balance is shattered when her husband walks out. There's no herbal tonic or cleansing ritual that can restore her serenity--or her sanity. Miraculously, it's BJ, the newcomer to Mill Valley, who steps into their circle and changes everything. The woman with dark secrets opens up to her neighbors, and together they get back on track, stronger as individuals and unfaltering as friends. 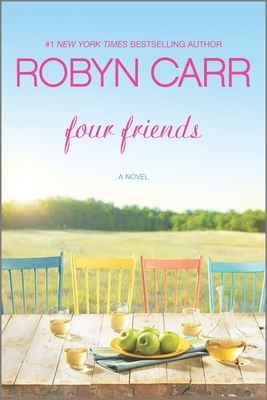 Look for What We Find by Robyn Carr, a powerful story of healing, new beginnings and one woman's journey to finding the happiness she's long been missing. Order your copy today.